My next several posts will be beach related as I’ve been working on our son’s seven month photos. I’ll have two layout posts and then one bonus so make sure you’re a follower to see all the updates! When we had M’s pictures done each month, up to 1 year, we tried to get some of him in a nice outfit and then some that themed around whatever new we did with him that month. This month was his first trip to the beach. I scrapped these photos not only to match the beach theme, but with the inspiration of the ScrapStuffz “Inspired by” post. I also completed the page using some matching ribbon for the 3 Girl Jam Challenge: Anything Goes with Ribbon. Ribbon is one of the products I’ve been challenging myself to use more often. I’m having “trouble” using it in a way other then straight, but you have to start somewhere right!? The ribbons are much more turquoise in real life, and match the page colors perfectly. The little fish also match the sharks in M’s rash guard and remind me of his 2nd favorite movie of the moment…Finding Nemo. 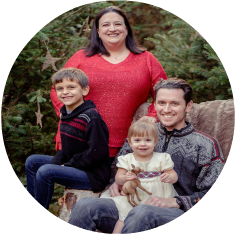 Please stop on by both challenge blogs and take a look at what they have to offer! I’d also love to hear what products you have been challenging yourself to use more often. I'm crazy CRAZY for these LOs!! Bravo!! so much pizazz! I'll check out the new challenge blog. Where did you get the sand castle embellishment? You're so kind La-Vie! The sandals castle came from Recollections at Michael's. it was a set with fish and a bucket and sunglasses. This is an adorable layout. I really like the ribbon you chose. Thanks for joining the 3 Girl JAM Anything Goes with Ribbon Challenge. great layout!! and absolutely adorable photos 🙂 Thanks for joining us in the 3 Girl JAM "anything goes with ribbon" challene! This is beautiful! 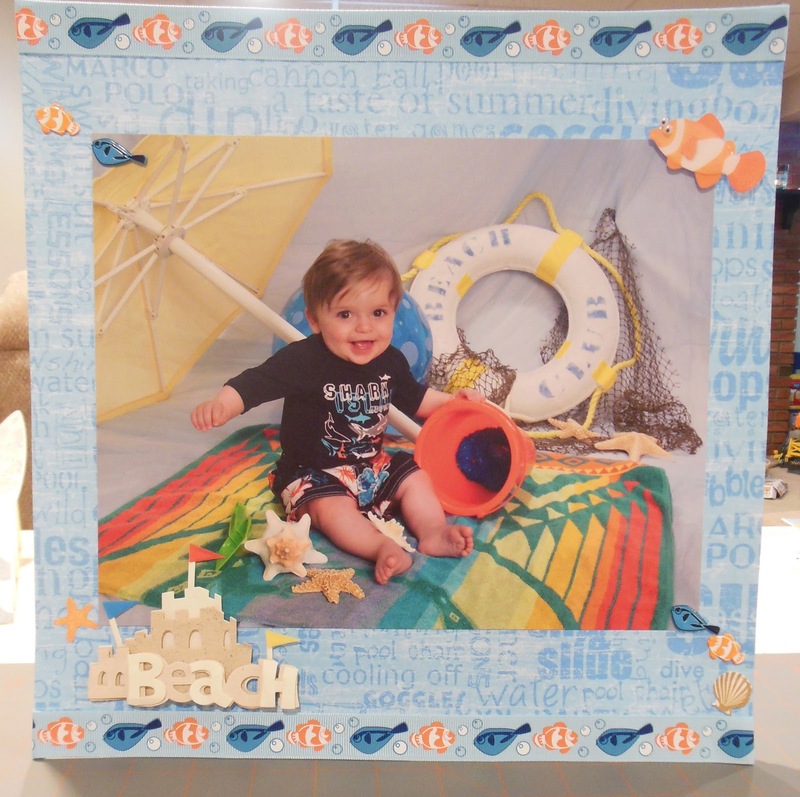 From photos to paper + embellishments is super! Works perfectly together! Thank you so much Shirley – really trying to push myself to try new things!